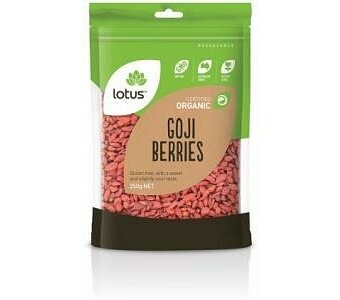 Lotus Organic Goji Berries are gluten free, with a sweet and slightly sour taste. Ingredients: Organic Dried Goji Berries. Certified Organic by ACO.